Innovative new technologies sparking social change. 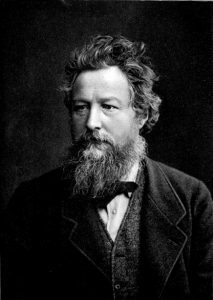 William Morris (1834-1896) is one of the most influential designer in the 19th century. Not only as a designer, he also worked as a poet, writer, activist. During Industrial revolution, a lot of machines were invented and people could purchase mass produced items at cheaper price, as a result of this, gradually craftsmanship tended to be lost. However, Morris against that trend because some mass produced items contained poor quality, and tried to revise craftsmanship and high quality, pleasure and beauty of making goods by their own hands, which is called Arts and Crafts movement. Thus, it can be said that he and his works blew a new wind towards that era. 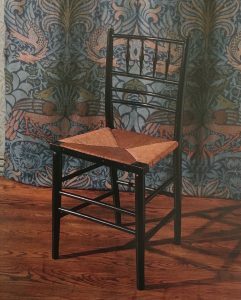 This is Sussex Chair made in 1865. It has clean lines, symmetrical proportion, and simple woven rush seat. Its cleanliness and simplicity make viewer feel elegance and authenticity of craftsmanship and beauty of nature. This is a representative work of Arts and Crafts Movement that unleash people from the burden of mechanized ugly products, as if standing in the trees or green field in the fresh air. Also the same as Sussex Chair, beautifully detailed nature is frequently featured in Morris’s other works. From these facts, I imagined the sound of trees rustling and swaying in the clear wind. With the rise of Christianity in Europe came the introduction of the Codex Book. It was a new form of written media intended for religious texts, and quickly became the new format of literature, replacing its predecessor of text in scrolls. Pages of parchment of a uniform size are bound together, creating a difference sequence of information for the reader. The codex book format created a narrative; there is a clear distinction of beginning and end that text in scrolls did not have. As the primary purpose of the codex book was to record religious texts, Christianity became more widespread throughout Europe as well. Throughout the middle ages, religion played a large role that would influence future innovations. Remnants of the codex book from the Middle Ages can still be seen in contemporary forms of literature today. The innovative characteristics of the codex book of the Middle Ages played a large role in future designs of contemporary books. Features of the codex book included two columns of text, a highly visual style of lettering, and the use of punctuation in later designs of the codex book. Prior to the invention of the printing press, these books were hand-lettered and illuminated. However, the essence of the book still remains relevant in modern designs. The two columns of text format remained the standard for religious texts. For instance, comparing the codex book with its modern counterpart, The Holy Bible, it is evident modern books took reference from its historic predecessors. While the use of stylistic hand lettering became less common following the invention of the printing press, the codex book laid the foundation for text reproduction. Gutenberg took inspiration from the beautifully illuminated scripts of hand lettered text in his 42-line bible production. The typeface of printed media was created with a conscious effort to resemble past editions of text in books. The success of the printing press could be attributed to how books had a standard of quality already established. Even the black ink on paper of contemporary books resemble historic materials of the codex book with ink on parchment. With this standard of text in book format, Gutenberg’s 42-line bible became the first book reproduced en masse and marked the beginning of the age of print. Additionally, the popularity of the codex book laid the foundation for future productions of text, such as the pocket book that offers a portable option of the book format. Following the invention of the printing press, book formats spread to areas other than religious texts, and influenced the way knowledge is obtained. The book format with its ease of reading and reproduction made it a popular choice for scholars and common readers alike. It is with the innovation of the codex book format as well as the creation of the printing press that contemporary books look the way they do today. I chose to describe the piece The Celebrated Jumping Frog & A Curious Dream, c. 1890, by Mark Twain as a representative for the industrial revolution and the rise of urban mass culture (specifically the Victorian Novel and The Popular Book and Print) and the smell it would have to someone with creative synesthesia. The cover of this volume of two works by American author Mark Twain has a background consisting of two plain colours: a dusty green on the bottom half of the page and a warm orange on the top half. Although green by itself appears as a fresh colour; the colour of plants and nature, its saturation combined with the bright orange top half of the page evokes more of a chemical or toxic effect. They’re opposing colours and were used together on the cover to grab viewers’ eyes as they passed the bookstall. Yet, the high contrast between the cool green and the warm orange to me provokes a bit of a gross smell of toxic waste or even sewage. You never really know what floats around in sewage water or what waste is really composed of and it is often represented using green or bright yellow or orange hues. Maybe the piece would smell a little bit of dirt as well, considering its organic elements: the images of insects and the frog as well as the organic curves of the font. Disregarding the orange top half, I think the bottom half of the book by itself would provoke the smell of freshly mown grass- a very different smell than the toxic waste I think the piece in its entirety expresses. On the other side, I feel that the orange by itself combined with the content of the page but disregarding the green bottom half provokes a very sweet smell. It is the orange hues combined with the green that transforms the general impression of the book on the viewers and makes it noticeable, and expresses the specific sewage-y smell. Modernism, started in England during the 19th century is one of the most influential art movements up to today. 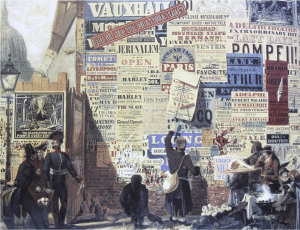 The graphic design piece chosen here is, London Street Scene, by John Orlando Parry done in 1835, a watercolor piece done at the beginning of Modernism. The piece itself asks to be translated into sound at first glance because of the amount of information it contains. The warm tone overall sounds like the tone of a classical guitar, small and intricate details on the pages of newspaper translates to harmonics on the guitar and percussive sounds from metal blocks. Lines of words naturally becomes a blur of chatters in a distance, quite welcoming yet not so loud that it becomes irritating. Around the enlightenment period is when this piece is created and is what it tend to sound like, sounds from speech and tools hitting one another fills the street but not in a noisy manner, the company of guitar notes freshens the air and provides a breath of life. Forms within the piece are leaning more towards geometric than organic, creating crisp and staccato sounds of keys wide spread in the air; sounds from every instrument are clear from one another, yet grouped together as an ensemble. The watercolor mediums gives the piece a slight sense of transparency and clearness, as crisp toned bells chime through the air, adding a little more lighter tunes into a symphony of metals along with the classical guitar. Warm to cool transitions within the piece which are a little subtle and dull are hints of atmospheric sounds produced by a small ensemble of strings and brass. Not so vivid but harmonizes everything else, making a busy scene function smoothly within certain degrees of order. The entirety of this watercolor piece is a symphony of strings, brass, bells, and a guitar on the side; creating music which captures the time period which it was composed in like a film score. As if it were playing in the background of a busy street scene in an afternoon, bringing the viewer straight into the picture frame of the painting. I have synesthesia, in fact I have three kinds: 1) Grapheme colour which is where I associate colours to letters, names, and numbers. 2) Colour music, which is where I see colours when I hear music. 3) Object personification, which is where I associate personalities with everyday objects, like cars or cutlery. So for me, this assignment is a bit backwards! I chose the typeface Didot. The name Didot to me is a burnt orange, or like a rusty orange. For me personally, Jazz music tends to be earthy, muted colours. I believe this is usually because of the percussion, and the tone of voice. The song that most closely matched the colour of Didot was Sinnerman by Nina Simone. I think Nina Simone’s voice has such a strong contrast to the smooth percussion and piano, which reminds me of the strong contrast between thick and thins in Didot and other modernist typefaces. “A Brief History of Type, Part Four: Modern (Didone)”. I Love Typography, May 30 2008, https://ilovetypography.com/2008/05/30/a-brief-history-of-type-part-4/. Accessed Jan 19 2018. The 42-line bible is the earliest European book printed by movable type, by a process of Gutenberg’s own invention. With this invention, texts could be produced faster, in larger numbers, and at a lower cost than ever before. Gutenberg used the gothic script type to the 42-line Bible, and the capital letters in the content are all done by hand for the aesthetically pleasing reason. Obviously Gutenberg is not the first one who used blackletter typefaces, however, they are often historically associated with the 42-line Bible. Gutenberg’s typeface was not like what we have in nowadays, it resembled the ornate handwritten letters the scribes had used for ages. Each chapter began with a large illuminated initial. The arrangement of the type creates a sense of narrow, tall and pointed, it resembles a neat movement to its viewers. In addition, the overall design of the page is also arranged in a uniformed way, which makes viewer relating to some kind of relaxing classical music when he sees it, everything is arranged in such harmonious way, there’s no treble that will hurt his ear or bass that sounds too muddy. Even with the sound of handwritten capitals and illuminated initials, they don’t make any invasion to this rhythm, they sound like those beautiful vibratos that come from a cello, which add colors and life to the tune. The 42-line Bible symbolizes the starting of printing revolution, and as we all know Gutenberg had spent years on the invention of printing press. When I relate this fact with the bible, I feel the odor of those strange metallic smell of one’s blood. Blood also contains iron atoms and that is why it had this metallic smell. But at the same time, it does not belong to any form of metal, it’s in this liquid form that flows in a natural way instead of heavy and unmovable. The odor is not overwhelming, it is the time when you had a papercut and used your tongue to lick the wound. Then you will get this hint of blood staying on your taste buds, also the strange metallic smell that wandering in your nose. The reason why I smell this besides the fact it was printed by movable type, is probably because Gutenberg had used red and blue ink for the starting sentence and title. The strong contrast between the two colors and also the way they compete with the black type against the white background, it is probably the colors that give me the illusion of this smell. Like been said before, the 42-line Bible represents the starting of the age of printed book in the west, it is the first time that books can be produced in a large amount with low cost. In another way to say, this movement almost marked the beginning of a new era in the printing industry. It is like the sound made by a luxurious antique bell tower when the clock hits the whole point. It sounds grave and serious, also keeps echoing until it finally disappears into the air. It marks the ending of one period and the starting of another. I think graphic design is a language that the audience can understand. Excellent graphic design allows people to stop and watch because it is making an enjoyable sound to tell people the story it wants to express. People who design posters cannot always stand in front of their artwork to explain to the audience what topics they want to communicate. The most important thing about graphic design is to keep the audience and make them understand the story. Find the essence of the poster content, discarding the extra elements, to achieve the purpose of highlighting the theme, which is Cassandre’s poster design received the main reason. Cassandre is the most successful commercial poster designer during the “Art Deco Movement” in France, and his design has a rather strong “Art Deco” style. He is acutely aware of the functionality of posters and good at using indirect geometry through rearrangement, reflecting the collected works of art. 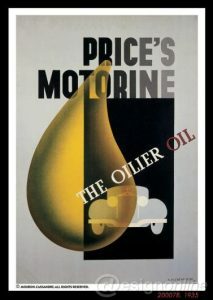 The one who impressed me most was the posters of Price’s Motorin, a work he designed in 1935, using simple geometry shapes. The visual focus is on the curved, bent drop of petrol left of the picture, and the relationship between the two is efficiently integrated by a rectangle through the superimposition fo cars on a gasoline and black rectangle background, with serif font gives a striking reminder. If this piece just like this, it can only be regarded as regular posters. The bright place in this part is the advent of “the oilier oil,” a two-dimensional pile of significant geometric figures below the center of gravity of a punctuated petrol chart, with a downward optical illusion. Cassandre consciously tilted the typography down to the left, so a slight change made the text also think downward tilt. The work allows people to listen the trajectory of gasoline, which reminded the changes in gasoline prices. If you stand in front of this poster, you will surely hear it say to you: The touch of the petrol is lubricated and clear, slides away from the signs. Can you summarize a historical period in a six-word design? 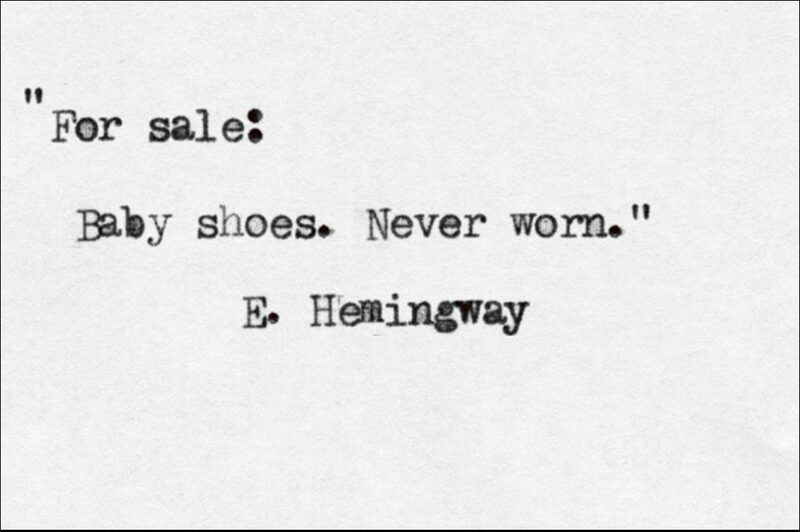 Choose an era (such as the Victorian period, WWII, the 1960s, etc.) and summarize it in six meaningful words whose design accurately evokes the era.